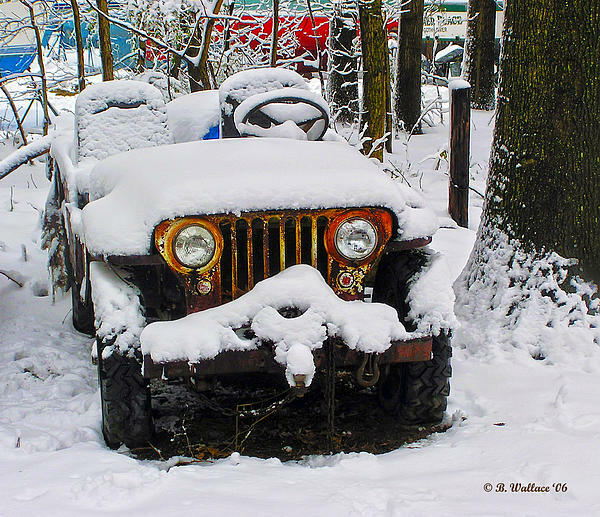 Brian, a really neat and "cool" image - congrats on your 2nd place finish in the Jeeps contest! Thanks Myrna, for the nice comment and congratulations on my image. This image was converted to grayscale and used in a Jeep ad for the SuperBowl two years ago. Thanks for the nice comment Kip! Very nice. Cool photograph of a jeep. 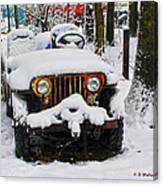 2D image of a rusty, dilapidated, snow covered jeep in Pasadena, Maryland.